I just watched V for Vendetta a few days ago. Not a great movie, per say, but one that does bring the feels in the final moments. The crowds of unarmed civilians overwhelming soldiers with guns has the same effect as the giant flag on the barricade in Les Miserables. If it doesn't make your heart swell just a little bit and create a desire to defy 'the establishment' then you aren't human. 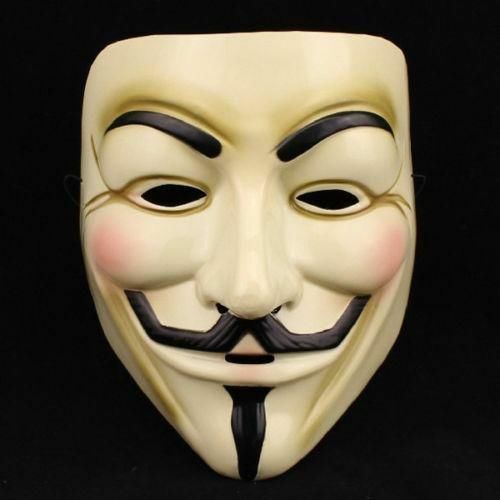 Please note that 'the establishment' can mean just about any group you don't like and that I am well aware that Guy Fawkes was little more than a terrorist. Sometimes we rebel just to rebel. it's secretly the wachowski's best movie. One night, years ago, right around the time I should be going to sleep, I ended up staying up for two hours to watch it on basic cable, and I realized I did that every damn time it's on TV. So it was like "huh, I love this movie," and I went and bought the bluray. V's even crazier in the comic - it's awesome.